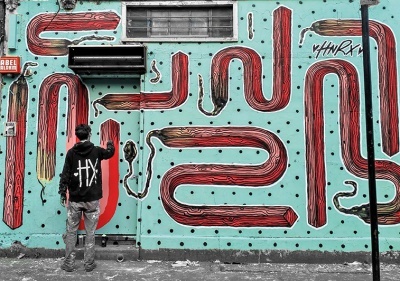 SAM IS A MAGAZINE ABOUT STREET-ART, GRAFFITI, ILLUSTRATION, GRAPHIC ART AND EYE POPPING STUFF RELATED TO THESE. WE FEATURE ART FROM THE HEART! 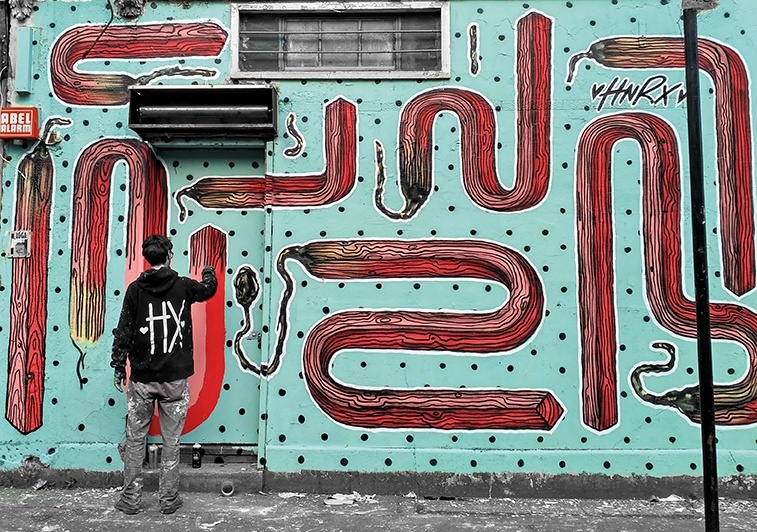 Austrian artist HNRX is painting wall after wall leaving a lasting impression to the spectator. Born and raised in Austria, a country with a respectable reputation when it comes to art, he definetly lives up to that expectation. For issue 18 we talked about his passion for everyday objects and why he switched from spraypaint to working with brushes.